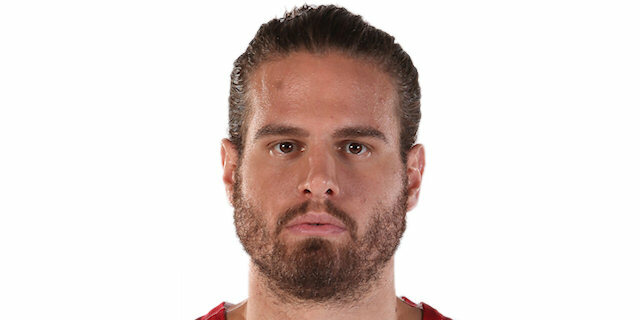 Zalgiris Kaunas took control of its playoff series with an 80-60 rout of Olympiacos Piraeus in Game 3 at Zalgirio Arena on Tuesday night. The Lithuanian champs grabbed a 2-1 series lead and can clinch a historic Final Four berth if they win Game 4 at home on Thursday. Zalgiris took charge with a 12-0 second-quarter run to lead by as many as 17. 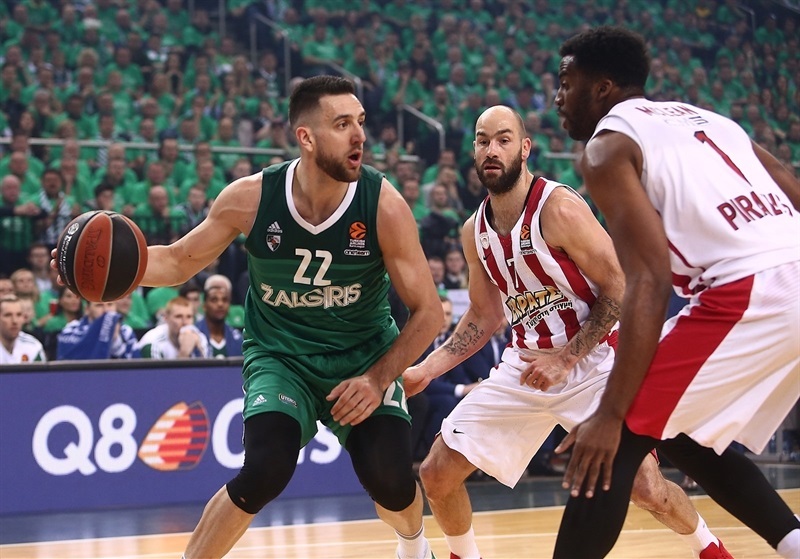 Olympiacos battled back to within 47-36 at halftime and Vassilis Spanoulis rallied the Reds to within 7 in the third, but Zalgiris captain Paulius Jankunas stepped up with all his team's points in a 9-1 run and the hosts never looked back. 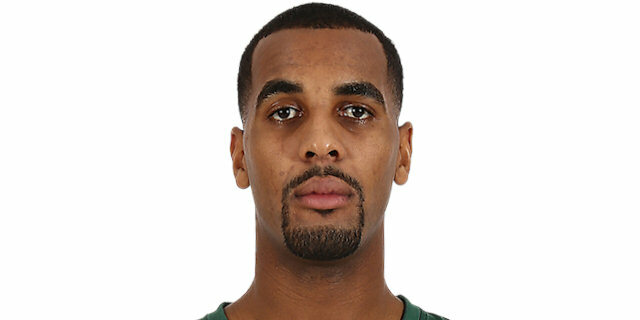 Brandon Davies starred with 18 points, Jankunas finished with 13, Kevin Pangos scored 12 and Axel Toupane 10. Zalgiris's 72.7% two-point shooting (24 of 33) tied for the third-best by any team in playoff history. 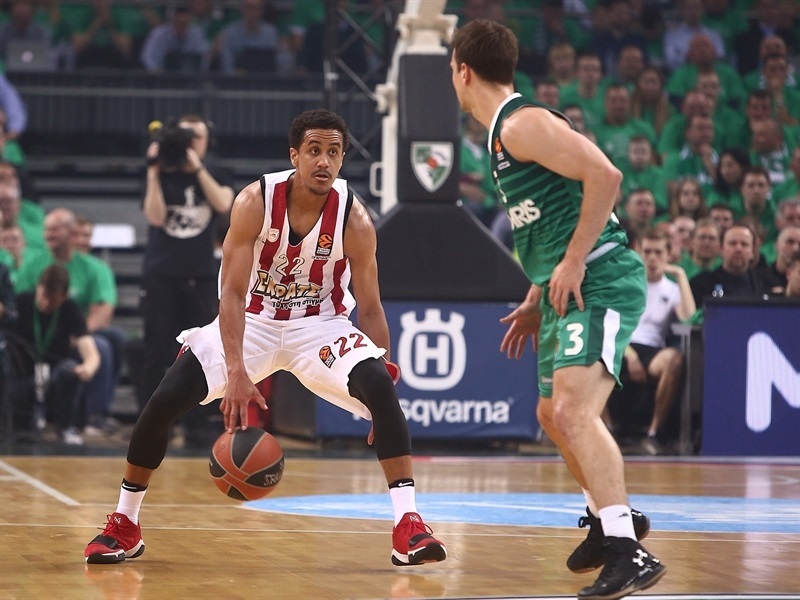 The hosts outrebounded Olympiacos 33-27 and dished 23 assists to the visitors' 12. 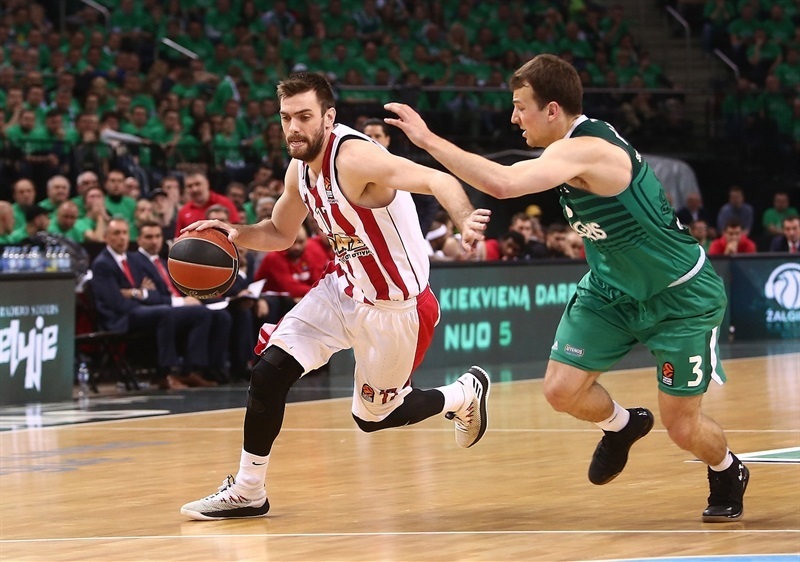 Vassilis Spanoulis paced Olympiacos with 14 points and Brian Roberts added 11. 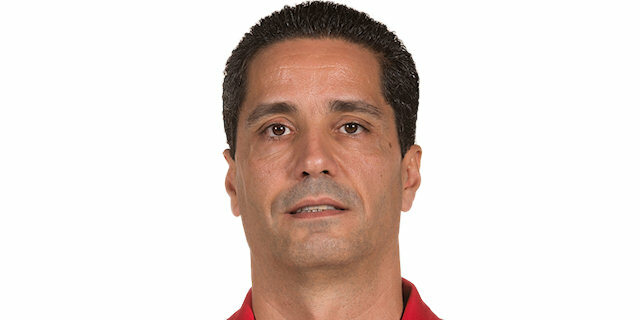 The 20-point loss was the worst playoff defeat for Olympiacos since 2008. 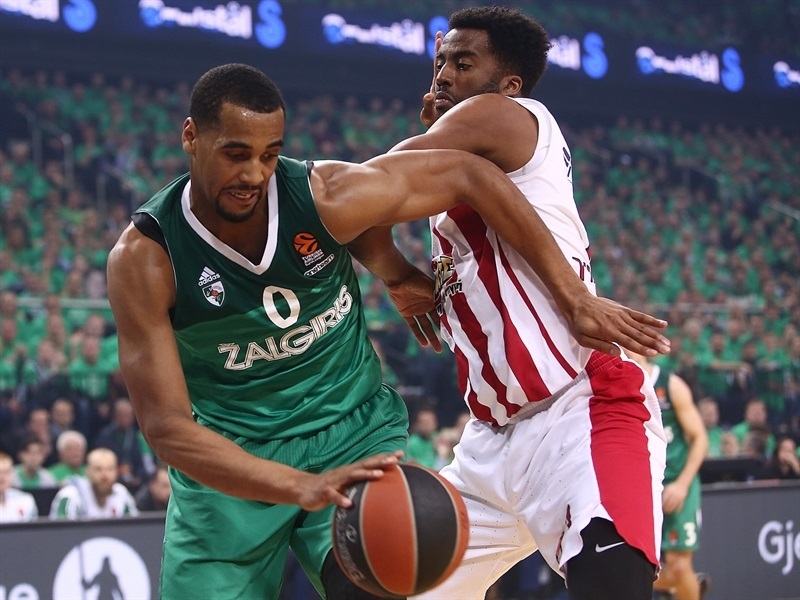 Olympiacos controlled the opening tip and Jamel McLean got the visitors going with a basket inside before Zalgiris guard Vasilije Micic scored at the other end. A pull-up jumper and fast-break layup by Roberts gave the Reds a 4-10 edge. 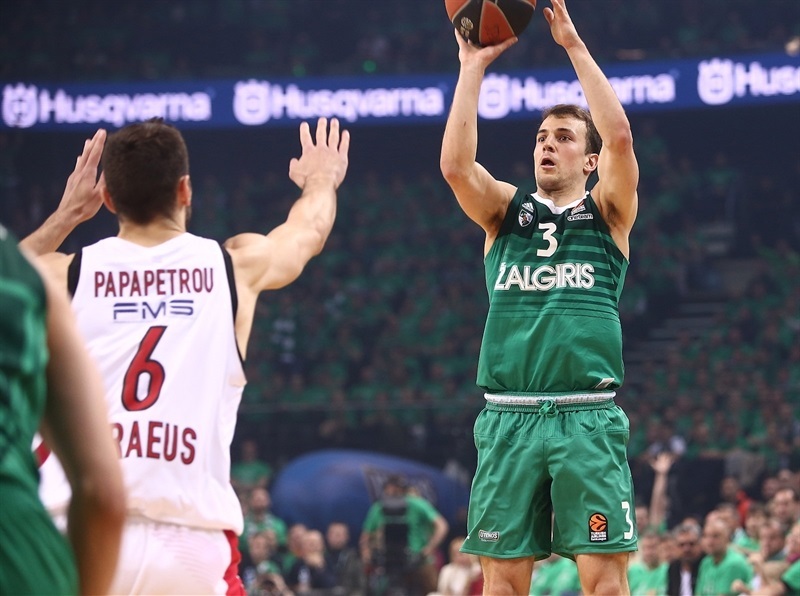 Kevin Pangos and Roberts traded three-pointers and Jankunas drew Zalgiris within 11-13. The wave of Zalgiris substitutions paid dividends as Antanas Kavaliauskas, Toupane, Aaron White and Beno Udrih all scored in the final three minutes of the first quarter to give the hosts a 21-19 lead after 10 minutes. 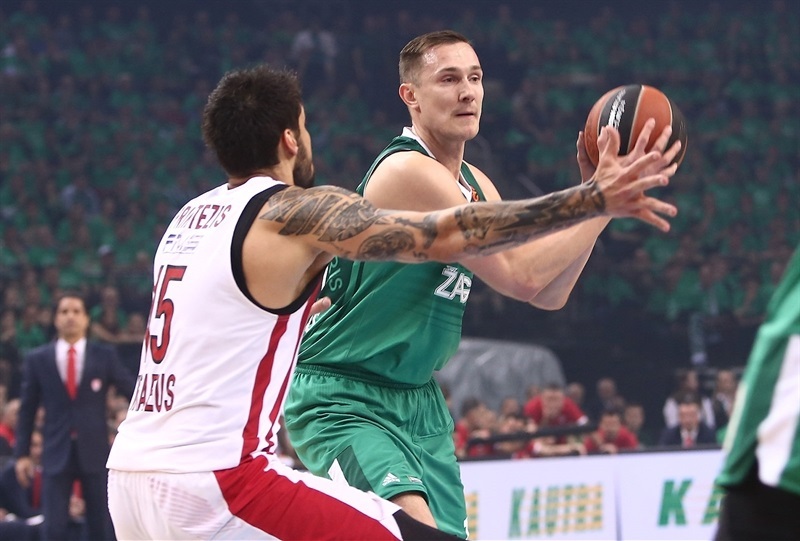 After Olympiacos closed the gap to 1, Davies scored 5 straight points and White converted a three-point play during a 12-0 run that gave Zalgiris a 37-24 advantage. 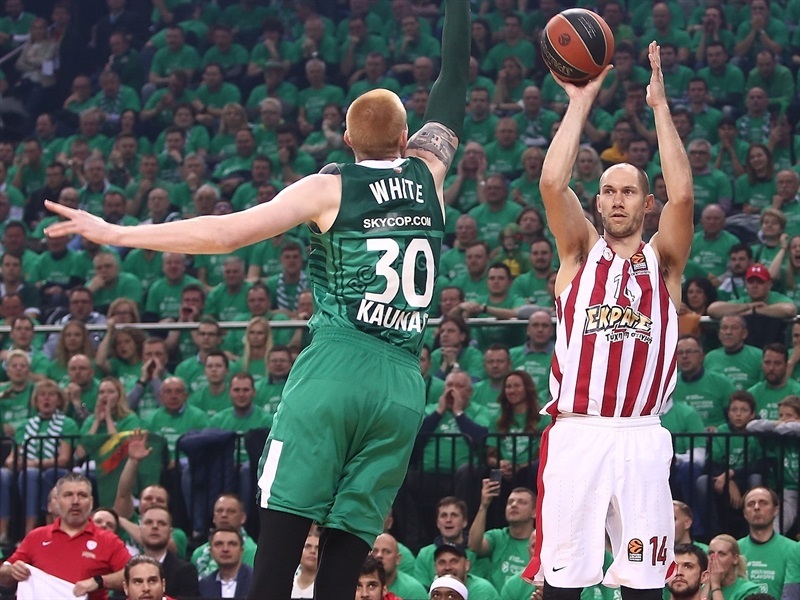 Spanoulis snapped a four-minute scoring gap for Olympiacos with free throws, but fantastic ball movement by Zalgiris resulted in a Davies slam, Zalgiris fans on their feet and an Olympiacos timeout. 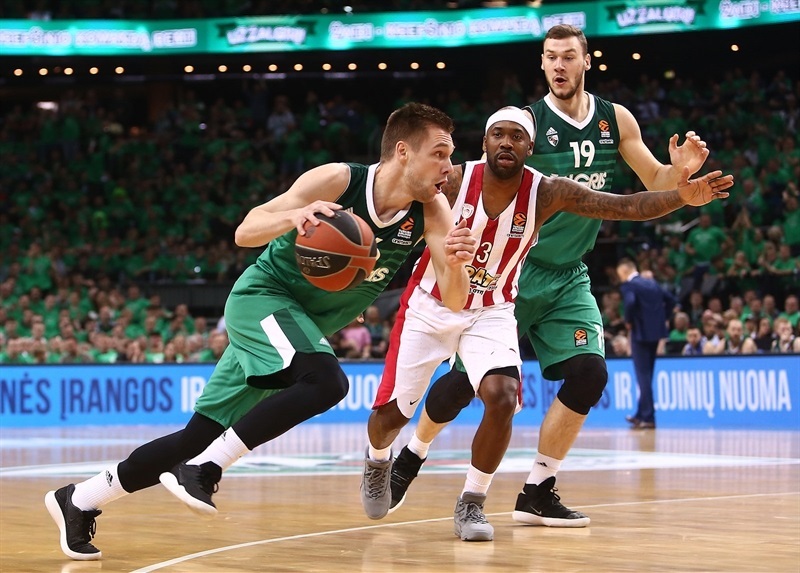 After Pangos put the hosts up by 16, Spanoulis stepped up for his team, but Zalgiris matched him basket for basket and even extended the lead to 47-30 on Arturas Milaknis's free throw. Olympiacos slashed its deficit through Nikola Milutinov's put-back and foul and a Vangelis Mantzaris triple to make it 47-36 at the break. 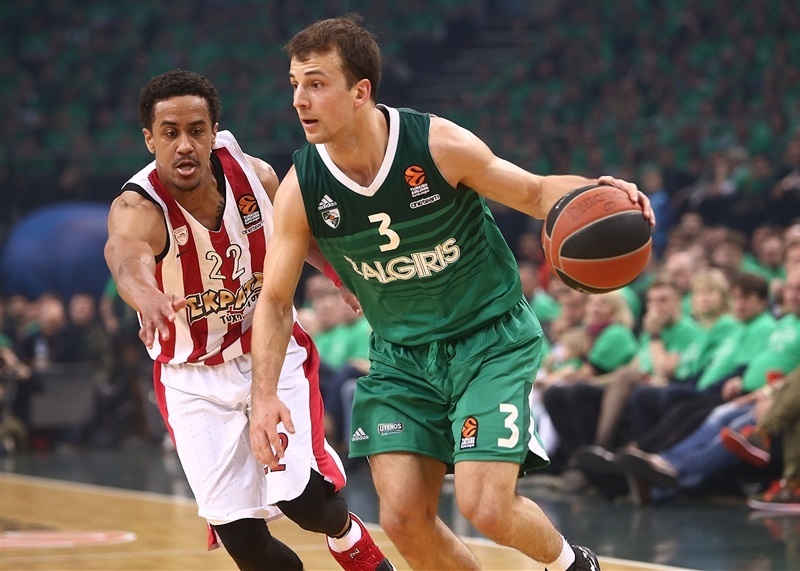 Zalgiris padded its lead early in the third quarter with baskets by Davies and free throws by Pangos to go ahead 53-39. 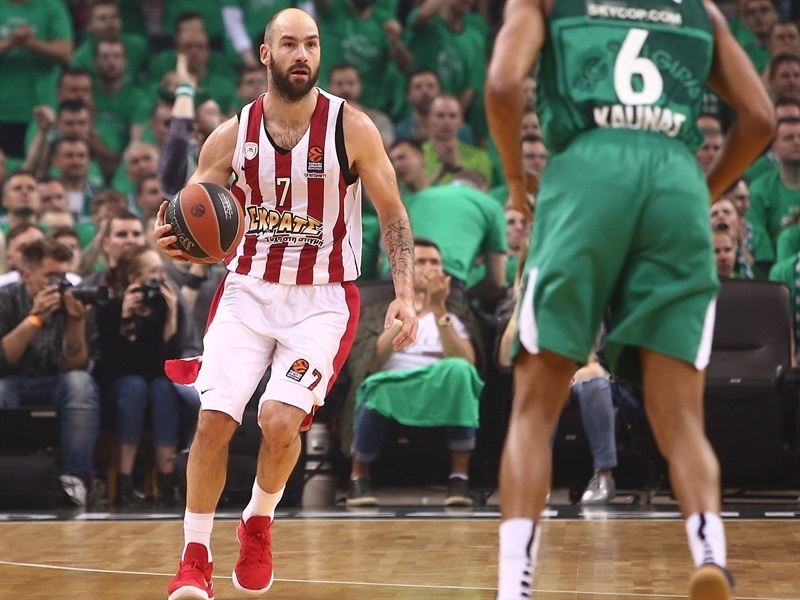 Spanoulis was fouled, capitalized on a technical foul on Kavaliauskas and added a layup to bring the visitors within 7. With the pressure on, Zalgiris turned to Jankunas, who sank a free throw and then buried jumpers on consecutive possessions to make it 58-46. After Kim Tillie split free throws, Jankunas tallied 4 more points to cap a personal 9-1 run for a 15-point lead. Great ball movement by Zalgiris sets up Toupane for a three on the third-quarter buzzer and a 67-50 lead. Toupane buried a three-pointer and was fouled three and a half minutes into the fourth quarter. The play took the margin into the 20s and brought the sea of green in the stands to its feet once more. 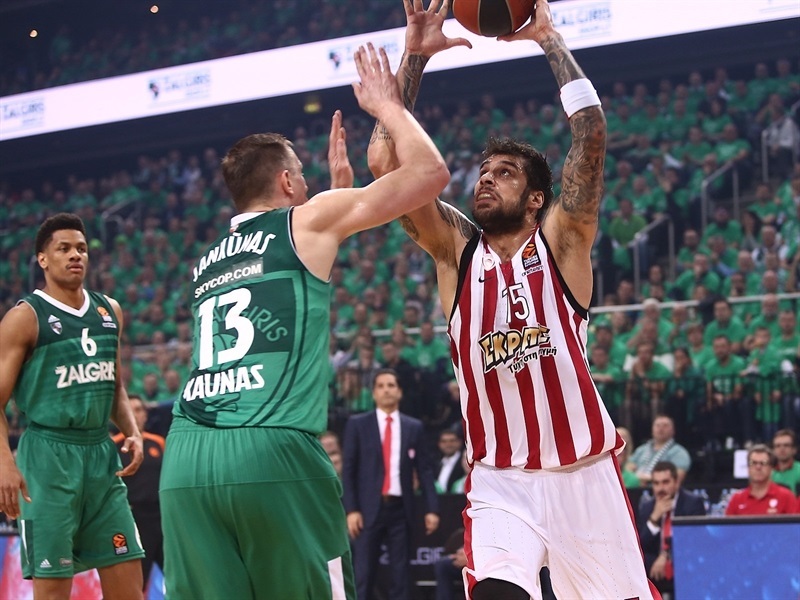 Georgios Printezis scored his first basket midway through the fourth quarter, but the outcome was clear by that time. The lead peaked at 80-56 on an Udrih jumper with two minutes to go as the Zalgiris faithful celebrated a historic victory. "I think we played a really emotional game. To see our fans supporting us was great. I think basketball-wise we got to improve a lot. Elimination game is the hardest game in basketball to win and the team against us knows exactly how to play these types of games. We got to pay more attention to the small details. I think we were failing a little bit today, lost our composure in the third. Overall the best thing is that this is 2-1 for us. It doesn’t how many matter points or so on. We just got to go and prepare for Game 4." 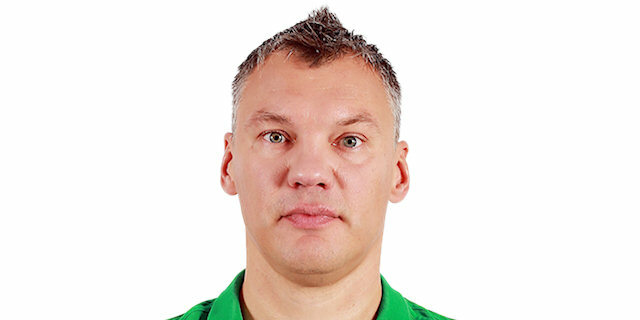 "I want to congratulate Zalgiris for the win today. They played much better all the game and deserved to win. I can say that we started good in the first period, but the 5 offensive rebounds in that period of the game didn’t give us what we should get from the good start that we had. The second period I think we played very bad on offense and that affected also our defense. Zalgiris got a big lead, a double-digit lead at halftime. I think it was very important in the third period when we came back in the 26th minute, 7 points, 53-46, but at that moment Jankunas scored a lot. I think that was a very crucial moment in the game. They got again a double-digit lead and after that it was very difficult to come back in the game. Zalgiris now has the lead 2-1. They need only one win to get to the Final Four. We have our last chance Thursday to fight for this game." "We knew it was going to be a hard fight and a war out there, so we just tried to be aggressive all game long. We made some mistakes here and there, but our spirit was there, we kept fighting and battled through a tough game against a tough team. Everyone has each other’s backs, everyone is lifting each other up. We have a lot of guys who stepped up tonight who have been patient and as long as we stick to our system and keep pushing each other to get better, we can get better as the series goes on and hopefully handle business this next game." "We did not play good defense. Zalgiris scored easy buckets and controlled the rhythm of the game. We were not focused and we did not manage to come back in the game. We must clear our minds. You can't let a loss affect you. We have to forget what happed and be ready for the next crucial game. If we stay together we can do it." "We missed some easy shots and that affected us not only on offense, but also on defense. We lost, but it is not the end of the world. We have one more game in two days. It is a do-or-die game and we will give everything for the win. I hope that we will make it and we will go back to Peace & Friendship Stadium for Game 5."